C&C Towing is currently looking for experienced drivers and shop mechanics. 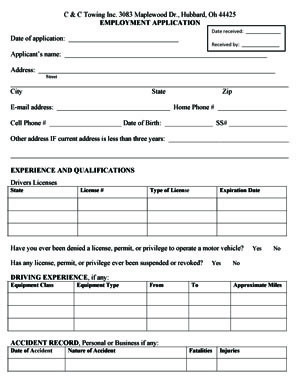 Please print off the following application for employment and mail to 3083 Maplewood Dr., Hubbard Oh 44425. You can also contact us directly at (330) 534-8583 during our normal business hours.